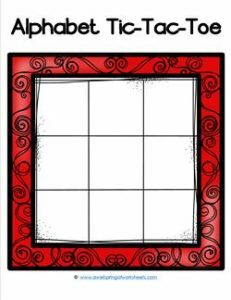 Nice to have you here on this page with our fun red alphabet tic-tac-toe frame. Print on cardstock for a longer lasting card that can be used over and over again. Use this card and the others in the set at a reading center time for some extra added fun.